During the 44th Annual World Boxing Council Convention in Croatia, Marvelous Marvin Hagler was presented with the Honorary WBC Ring, and the Medallion-Belt for his Career accomplishment. This comes 20 year's after his retirement. 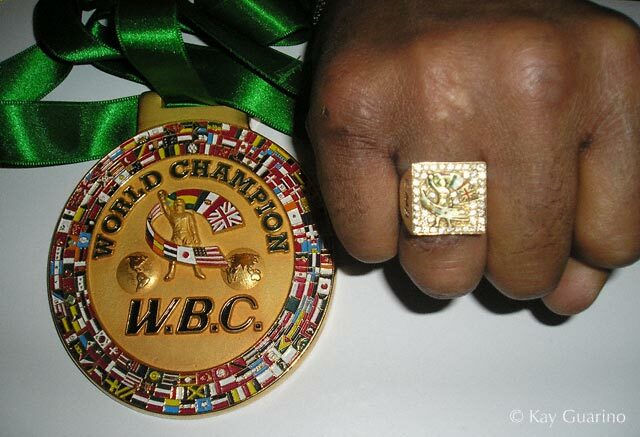 The Marvelous One was the Middleweight WBC Champion of the World for 7 and 1/2 years, from 1980-1987. At same time Hagler was the WBA and IBF Champion of the World. He was also 4 time North American Champion in his early career and 2 time Ring Magazine Fighter of the Year (1983 and 1985). Marvelous Marvin Hagler was inducted into the Boxing Hall of Fame in 1993.